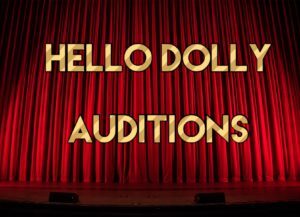 Thank you to everyone who has registered to attend our open auditions for principal roles in ‘Hello Dolly!’, this Sunday 25th November at BOST HQ. As with all audition days, proceedings can take longer than anticipated, so we would appreciate your understanding and patience should this occur. We recommend bringing any drinks or food you may need with you. Audition results will be emailed to all candidates the following day, Monday 26th November, after 6 pm. More information about each character can be found here. If recalls are required, they will now be held on the new date of Sunday 16th December, at 10 am. ‘Hello Dolly’ will be performed at the Liverpool Empire Theatre from May 16th-18th 2019. Principal rehearsals will most likely be every Tuesday night, plus some Thursday evenings and Sunday afternoons nearer the time of the show.